Worried mom! Bekah Martinez has responded to the news that her mother reported her missing while she was trying to win over Arie Luyendyk Jr.’s heart in season 22 of The Bachelor. A February 1 report by the North Coast Journal about the 35 people that have been reported missing in Humboldt County, California, included The Bachelor contestant. Once the story was shared on social media, the publication’s Facebook followers noticed that the reality personality was on the list. Martinez, who started filming the show in September, was reported missing at 1:06 a.m. on November 18. “Martinez had reportedly come to Humboldt County to work on a marijuana farm. Her mother hadn’t heard from her since November 12, 2017,” Public Information Officer Samantha Karges from the Humboldt County Sheriff’s Office told the paper. 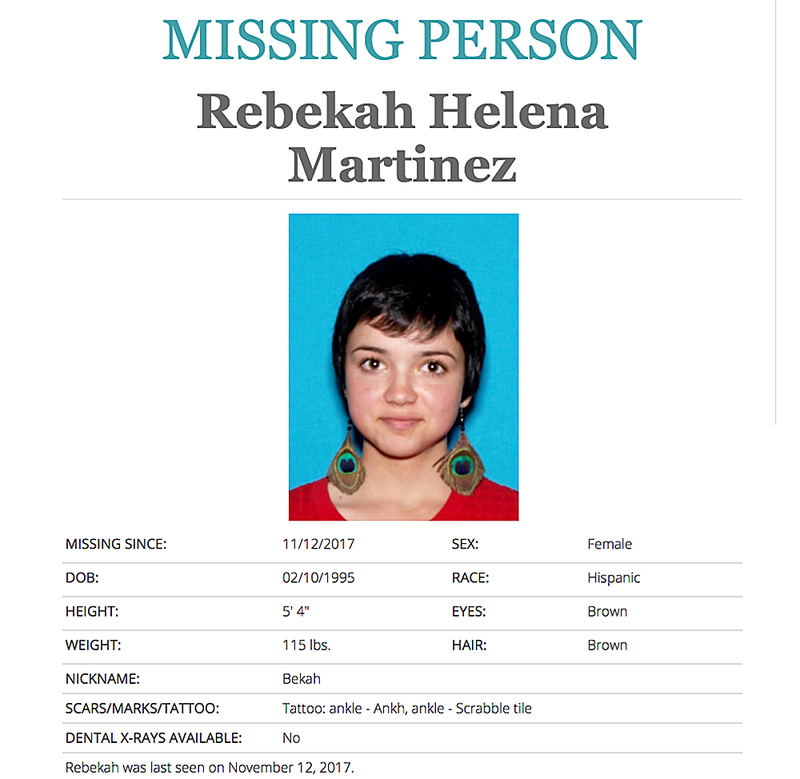 The publication reached out to the sheriff’s office after they compared Martinez’s photo on her missing person’s page to the ones on her Instagram account. Karges then emailed the deputy who took the missing persons report. “I just got off the phone with Rebekah. She is, in fact, the same person. She has been removed from (the Missing and Unidentified Persons Unit),” the deputy wrote minutes later in an email to Karges. Martinez tweeted out the link to the North Coast Journal on Friday, February 2, reacting to the situation. “MOM. how many times do I have to tell you I don’t get cell service on The Bachelor? ?” she tweeted. While she has been active on social media recently, Martinez told her followers last September that she was giving up her phone for a while. “HI ALL i’m giving up my phone and social media for the next several weeks, so if you need to contact me, welll… tough luck!” she captioned an Instagram photo of herself at the time. HI ALL i'm giving up my phone and social media for the next several weeks, so if you need to contact me, welll… tough luck! The 22-year-old also previously took to Twitter to say that the worst part of not having phone access while taping the show was not being able to be in the know about the recent Kardashian-Jenner baby news. “The worst part of not having my phone in the mansion was when the producers told us about the kylie jenner pregnancy rumors and i couldn’t spend 3+ hours internet sleuthing,” she tweeted on January 16. As previously reported, Luyendyk, 36, and Martinez recently discussed their 14-year age difference on the ABC dating show after it caused a big debate among some of the other contestants. Martinez took to Twitter to hit back at her fellow contestants who said she is too young for the bachelor.